This Free E-book is included with easyloop® tool! The Art of Fauxchét® E-Book is perfect for knitters, crocheters and fiber artists for adding the perfect finishing touch to any project. A url link to download this e-book for free is included with the easyloop® fauxchét® tool in retail packaging. 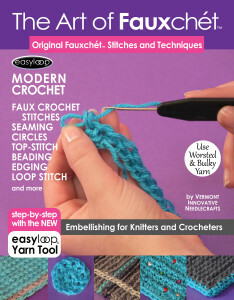 64 pages of step-by-step fauxchét® stitches and techniques makes learning this new craft fun and easy. 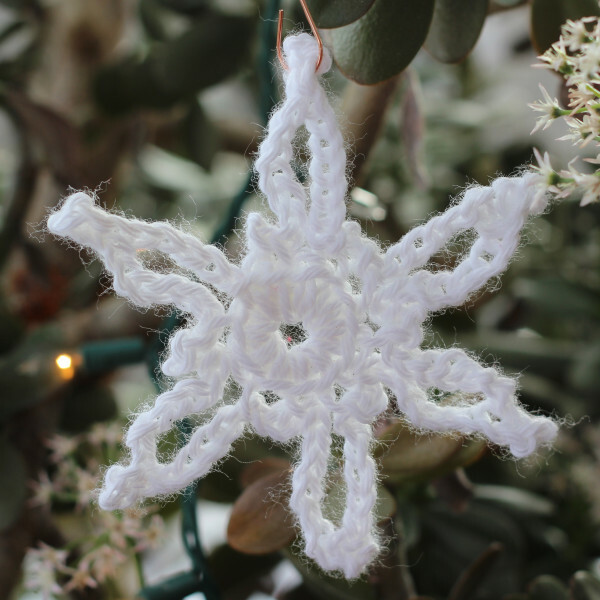 You’ll learn faux crochet stitches, beading, seaming, edging, circles, loop stitch, top-stitch and more! View table of contents. Digital e-book is available now! 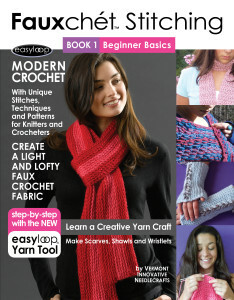 Fauxchét® Stitching, Book 1, Beginner Basics is perfect for knitters, crocheters and fiber artists and is filled with 64 pages of basic fauxchét® stitches, techniques and easy patterns. The step-by-step photos guide you through every stitch. 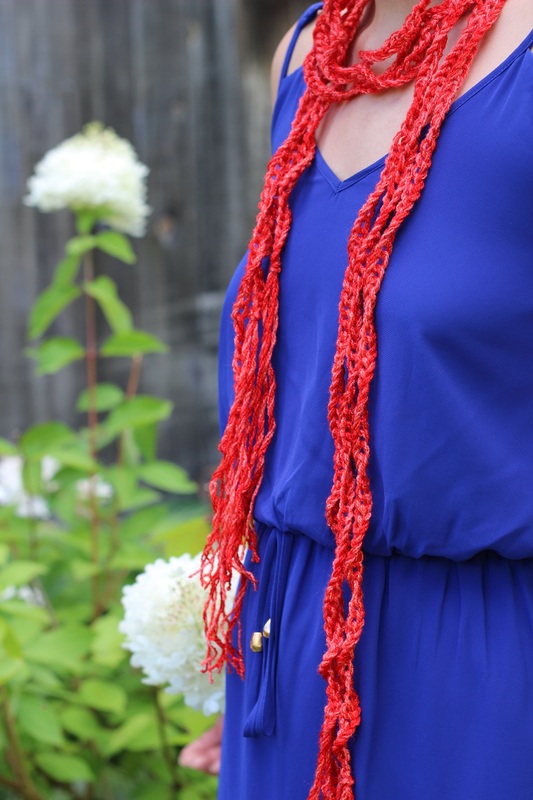 In Book 1 you’ll make Scarves, Shawls and Wristlets with worsted and bulky yarns while learning innovative fauxchét® stitches. View the table of contents. Digital e-book is available now! 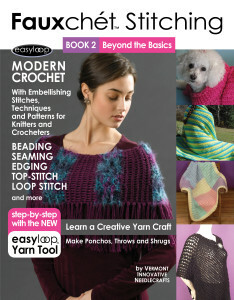 Fauxchét® Stitching, Book 2, Beyond the Basics is perfect for knitters, crocheters and fiber artists. 64 pages of fauxchét® finishing techniques and easy patterns. 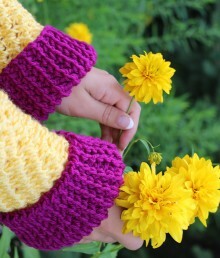 Make Ponchos, Throws and Shrugs with worsted and bulky yarns. 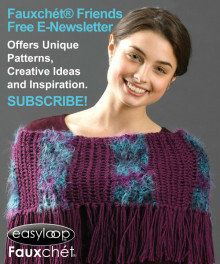 Learn beading, seaming, edging, circles, loop stitch, top-stitch and more! View table of contents.